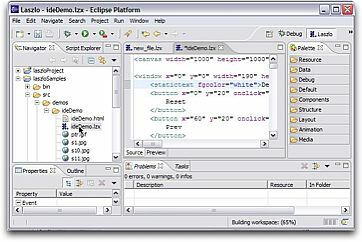 IDE for Laszlo is a technology preview of an Eclipse-based development environment for creating, editing, debugging, and testing applications based on the LZX declarative mark-up language. 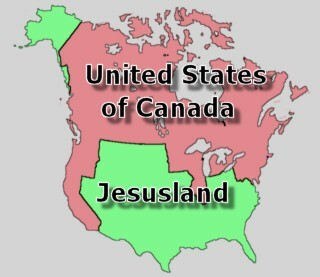 Here’s a map that’s not as funny as the previous maps. Because of that, it will probably not make it onto national TV. But it is a useful map to look at. 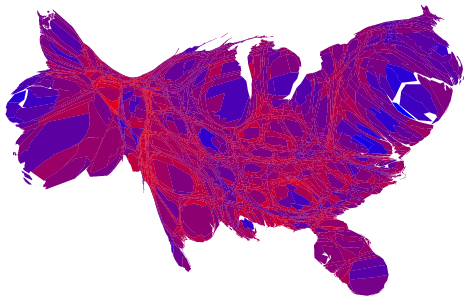 It shows the counties of the US colored according to the percentage of red and blue votes (so 50/50 would be purple), and with their area adjusted for the number of those votes. It does a better job of showing how nearly evenly split the country is than the red and blue maps that have been appearing. At least the Red Sox won. Hailing from the bluest state of the union, I lack perspective on what the majority think. But from what I have heard it is not that Bush is conservative, it is that God chose him (well, his did, at least). 384 years after people fled here for religious freedom, 218 years after establishing a constitutional amendment guaranteeing freedom to choose (or not) your religion and separation of church and state, we appear to be devolving into a church-state. Apparently religion, in the guise of ‘morality’, trumps all other concerns. I am told that I should read “What’s the Matter with Kansas? : How Conservatives Won the Heart of America” by Thomas Frank for enlightenment. It is next on my Audible reading list. Perhaps it will make you laugh too. Let me tell you a short story. When I was in elementary school, the school was plagued by a bully. He was the biggest, strongest kid around and would beat up anyone he didn’t like. We were all exceedingly polite to his face, but hated his guts behind his back. One day he was chasing some poor kid and he tripped and skidded a considerable distance, scraping his face on the rough asphalt of the playground. He was bleeding and in pain, screaming for help. But nobody came to help him. We all just walked away. George Bush is the world’s playground bully. The world sees him—and by inference, America—as arrogant, self-centered, and mean. I spoke to Americans from dozens of countries at the DA caucus. Everyone told the same story—the world hates America. When talking to foreigners, I can tell them about the Bill of Rights or freedom or World War II, or whatever I want, but all they see is this big, stupid, arrogant, playground bully and a stolen election in Florida last time. I think America deserves better. I want America to be respected in the world again, and John Kerry can restore the respect America deserves. Don’t believe me that the world hates us? The Guardian, one of Britain’s most respected newspapers, ran a column by Charlie Brooker last week ending with this paragaph: “On November 2, the entire civilised world will be praying, praying Bush loses. And Sod’s law dictates he’ll probably win, thereby disproving the existence of God once and for all. The world will endure four more years of idiocy, arrogance and unwarranted bloodshed …” Then it gets so bad that I refuse to quote it. Maybe Brooker is a nut and maybe it was a joke, but the fact that a serious newspaper would publish this piece shows how deep the hatred of George Bush runs. And this comes from our closest ally. Imagine what people in Spain or Indonesia or the Arab world think. Now you might be thinking: Who the hell cares if America is the world’s pariah, along with, say, North Korea and Zimbabwe? Well, I care, for one, and I think most Americans want to be respected for being a democracy rather than simply being feared because we have more nuclear weapons than anybody else. You can’t make the world love you by running commercials full of snarling wolves on worldwide TV.